Every great cook knows just how important it is to find that bottle of seasoning right when it is needed. If you have been looking for the best spice racks to help bring some level order to your spice collection, then you are definitely going to find this article not only interesting but also helpful. We know how difficult it may be to organize spices especially when you are frequently tasked with the duty of preparing different types of meals and delicacies.This is why we selected and reviewed some of the top-rated spice racks in the market currently to help you make the right choice and equally make your cooking a lot easier. With an added magnetic effect, this spice rack is easily one of the best in the market currently. Comes with 2 different preprinted labels and magnetic conversion charts for easy spice organization. Tins have clear lids that aid easy identification. The magnetic spice tins stay firmly together to aid easy access, and storage. Made of stainless steel that prevents spice stains on canisters. Spice canisters may require special techniques to open them up once closed. Tins may rust in a wet/humid environment if proper storage is not done after use. Asides being a quality spice rack, the Deco Bros 3 Tier rack gives you the option of mounting your spices on a wall where you can easily reach them whenever a need arises. Helps to keep all the spices together in one place. Has a scintillating design that enhances spice organization as well as kitchen aesthetics. Spice jars are not available. Spice rack may fall off the wall if not properly mounted. If you have a 'thing' for excellence, style, and organization, then this spice rack should top your shopping list. It is definitely up there with the best spice racks in the market right now. 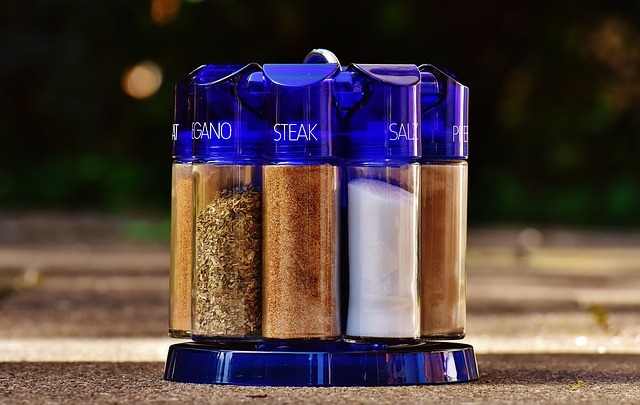 Spice Jars are designed to turn and open easily. It features a nicely designed carousel that houses up to 20 jars and spices. Each jar has a spice name to aid easy identification. Spice jars are dishwasher safe and are safe from rusting. This rack features a solid wooden frame that keeps all spices in kitchen organized and accessible. Comes with an additional 315 water-proof preprinted labels for spice identification. Features a solid wooden frame that aids storage of spices. The wooden finish may degrade if not maintained properly. This may be the last on our list of the best spice racks, but it is certainly not the least. It has all the makings of an excellent spice rack. Features a design that can house up to 30 filled spice jars or 60 half filled spiced jars. Comes with drawers that can be easily pulled out to display spices. Drawers come with removable labels to aid identification. Cabinet's height and drawer size may be a problem. Top 5 Best Spice Racks With this review, you are now in a better position.